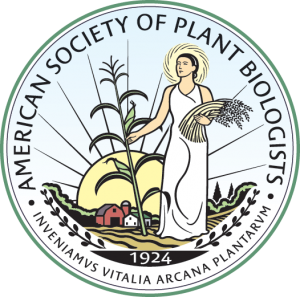 Established in 2007, the Fellow of ASPB award may be granted in recognition of distinguished and long-term contributions to plant biology and service to the Society by current members in areas that include research, education, mentoring, outreach, and professional and public service. Current members of ASPB who have contributed to the Society for at least 10 years are eligible for nomination. Recipients of the Fellow of ASPB honor, which may be granted to no more than 0.2% of the current membership each year, receive a certificate of distinction and a lapel pin. Rick Dixon (University of North Texas) is currently the director of the BioDiscovery Institute and distinguished research professor in the Department of Biological Sciences. Prior to moving to Texas, Rick was the director of the Plant Biology Division at The Samuel Roberts Noble Foundation, Ardmore, Oklahoma, from 1988 to 2013. During that time, he built the division into a world-famous institute for plant research with an outstanding international reputation. The work produced in the division, often under his direct guidance, resulted in major scientific discoveries in plant biochemistry that are still extremely influential on current work in the area. He has been on the Thompson Reuter Highly Cited Researcher list multiple times. Over the years, Rick has served ASPB in numerous capacities, culminating in his service as president in 2015–2016, during a period of great financial angst. Rick’s leadership was instrumental in putting the Society on a new financial track. As part of his service to the National Academy of Sciences, of which he is a member, Rick has actively participated in the development of consensus documents designed to educate Congress and the public about agriculture and the role of genetic engineering. 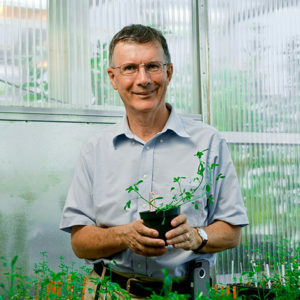 As a mentor, Rick was involved in growing the careers of numerous plant scientists. Bob Fischer, who retired in 2017 from the University of California, Berkeley, made significant discoveries in the mechanism that underlies gene imprinting in plants. In particular, his lab had identified DEMETER, a DNA glycosylase that excises methylcytosine from DNA, and plays an essential role in the development of endosperm. 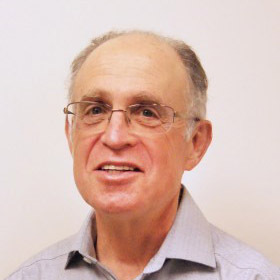 Bob has made significant contributions to ASPB, serving on the founding editorial board of The Plant Cell and on the ASPB Publications Committee. Bob has mentored many students and postdoctoral researchers who have gone on to have a successful career in research. 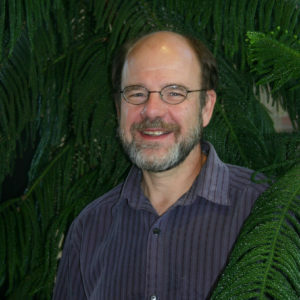 He also served as the chair of the Department of Plant and Microbial Biology at the University of California, Berkeley. Jean (University of Chicago) is highly respected for her work on plant-pathogen interactions. Her lab’s earlier work on ACCELERATED CELL DEATH6 (ACD6), for example, is particularly well known, but she has also contributed substantially to our understanding of signaling via salicylic acid (SA) in plants, facilitated by the production of azelaic acid. She has served as an editor of Plant Physiology and The Plant Cell for a combined total of 18 years. 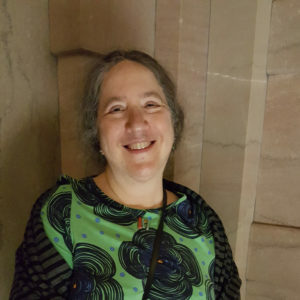 In addition to serving ASPB, Jean also has an extensive and impressive record of service to many different institutions, groups, and organizations important to plant biology, for example, as an editor with many other top journals, a panelist on grant review panels, and a member of university committees. She has also served as a mentor to many young scientists, including students, postdocs, and visitors to her lab. Many of these students and postdocs have gone on to great success in diverse areas. Maureen (Purdue University) is a leading scientist in the area of the biochemistry of plant cell walls. She currently serves as the director of the Center for Direct Catalytic Conversion of Biomass to Biofuel, which is funded by a large grant from the Department of Energy (DOE). Her work is highly cited, and she was a coauthor on the chapter on plant cell wall in the definitive textbook Biochemistry and Molecular Biology of Plants, published by ASPB. Maureen has been involved in organizing several international meetings related to cell wall and energy. She has also made numerous and important contributions directly to ASPB. She served on ASPB’s Science Policy Committee and currently is a member of the Board of Directors. She was a monitoring editor for Plant Physiology from 2008 to 2013 and coordinated the Focus Issue on Plant Cell Walls. Neil Olszewski (University of Minnesota) has made significant contributions to our understanding of the regulation of plant development. In a screen for genes that negatively regulate gibberellin responses, his research group discovered SPINDLY. SPINDLY encodes an enzyme that posttranslationally glycosylates nuclear and cytosolic proteins. His lab went on to publish a series of papers identifying roles of SPINDLY in multiple developmental and physiological processes including cytokinin signaling and the circadian clock. In service to ASPB, Neil was a member and is now chair of the Publications Committee. As chair of this committee, he was instrumental in the recent launch of Plant Direct, a sound science journal copublished by ASPB, the Society for Experimental Biology, and Wiley. 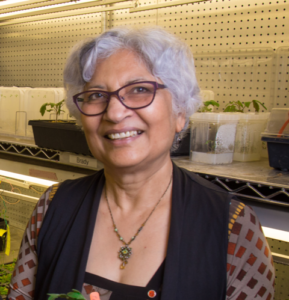 Neelima (University of California, Davis) is an eminent plant biologist who has made a substantial contribution to our understanding of the evolution of the development of leaf shape. With her many highly cited publications, her work is at the forefront of the plant evo-devo area in general. Her contributions to ASPB include currently serving as a monitoring editor of Plant Physiology and a member of the ASPB Minority Affairs Committee. In the past, Neelima was as a member of several ASPB award committees. She has been an exceptionally talented mentor–she has trained many outstanding plant biologists who became independent PIs. 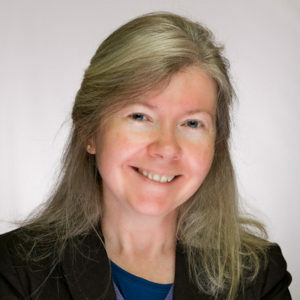 She also served as an editor for the journals Plant Molecular Biology, Molecular Biology and Evolution, and Current Opinion in Plant Biology, and is currently specialty chief editor for Frontiers in Plant Development and Evolution. The Fellow of ASPB Award will be offered again in 2019. Please check the nominations page in January 2019 to make a nomination.